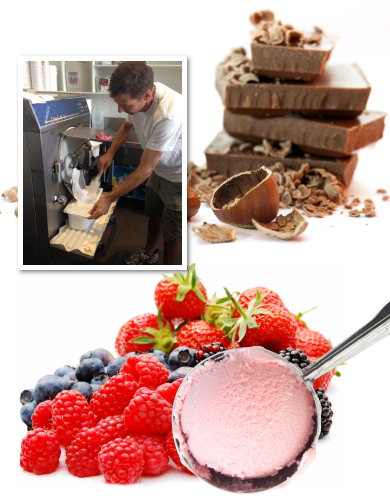 David Rattray-Wood of Fairy Hills Ice Cream, has been making delicious ice cream for the retail sector for over 17 years. He believes that great ice cream and sorbets are the result of using the finest quality ingredients available. From the meticulous roasting of the macadamia nuts to the churning of the fresh cream, David blends premium quality ingredients to create mouth-watering ice cream and sorbet flavour sensations. Set in the leafy eastern suburb of Ivanhoe, David opened Fairy Hills Ice Cream in 2012. As well as award-winning ice creams and sorbets, they serve delicious crushes, smoothies, shakes, soft serve ice cream, frozen yoghurt, French crepes and coffee. You can also buy take-home tubs and sensational custom made ice cream cakes, perfect to celebrate any occasion. You can check out what our customers say about us on Facebook, Instagram and Google.